The Boker Magnum Neck Bit offers a compact design for tactical EDC use. 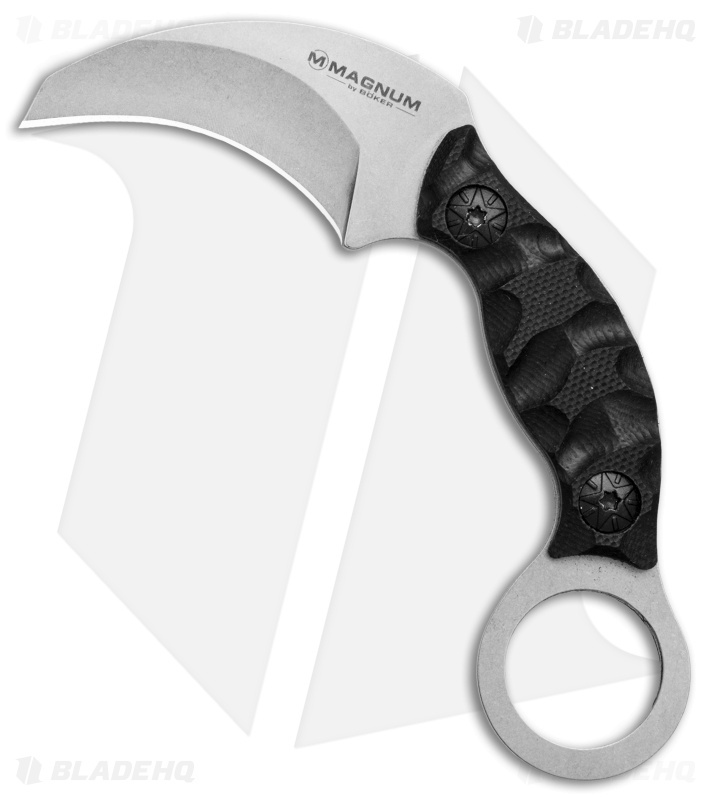 It's built with a full tang stainless steel blade with black G-10 handle scales. A karambit finger hole provides a secure grip with excellent retention properties. The blade has a curved edge and a sharp tip for slicing and slashing. Item includes a fitted kydex sheath. 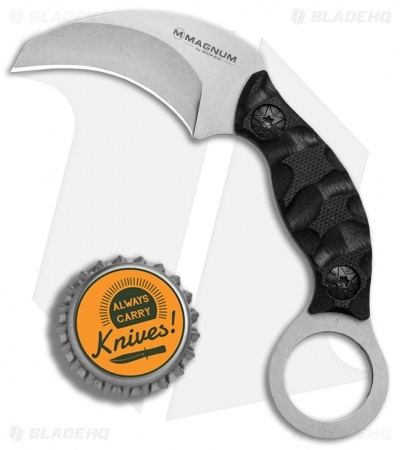 Compact, lightweight design is comfortable to carry and easy to conceal. 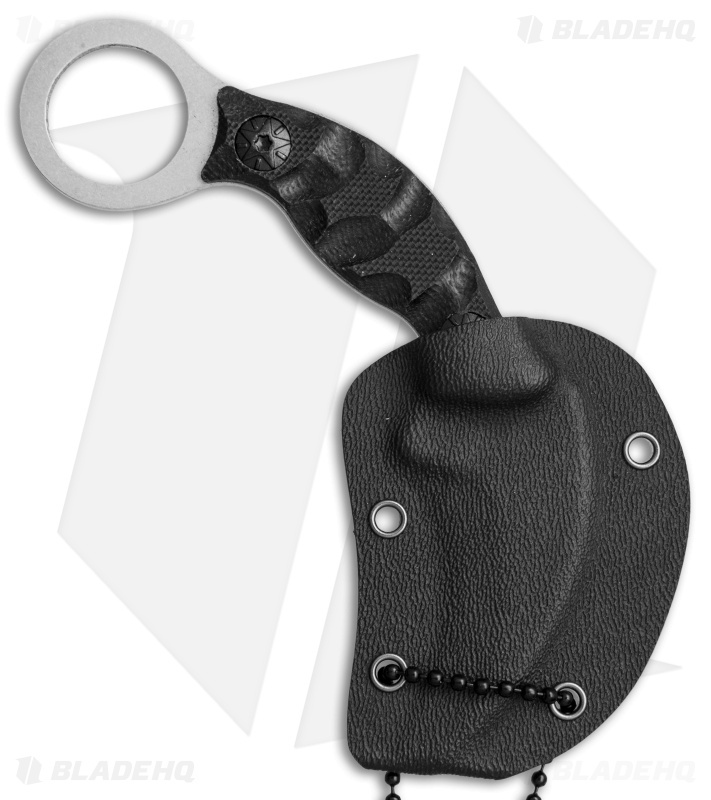 Item includes a fitted kydex sheath with a neck ball chain for concealed carry. 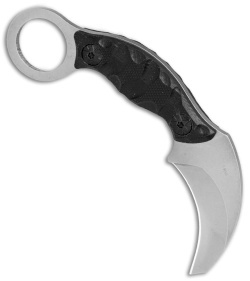 Hawkbill style blade provides a versatile edge for tactical use.